Black Box Warning Women over the age of 35 who smoke should not use Yaz because cigarette smoking increases the risk of serious side effects such as death from heart attack, blood clots or stroke. Most Common Side Effects in Clinical Trail The most frequently reported adverse reactions in women taking Yaz for contraception, acne or PMDD included headache, menstrual irregularities, nausea, breast tenderness and mood changes. Women who took the drug for PMDD also reported fatigue, decreased libido and increased weight. The most commonly reported Yaz side effects during clinical trials were generally not serious and included headache, menstrual irregulars and nausea. However, the drug carries a serious warning about an increased risk of life-threatening blood clots, especially in women who smoke cigarettes or are over the age of 35 or obese. Other serious risks include high blood pressure, gallbladder problems and liver tumors, though these side effects are uncommon in healthy women. With its chic marketing and catchy name, the Yaz birth control pill was introduced in 2006 and quickly became the most popular and best-selling oral contraceptive in the United States. But as quickly as the drug’s popularity skyrocketed, it plummeted amid concerns that it raises the risks of deadly side effects more than older contraceptive pills. Some side effects, such as irregular bleeding, nausea, breast tenderness and headache, are usually mild and tend to go away with time. Others, such as blood clots, stroke, heart attack and gallbladder disease, are more serious and can lead to death. According to the package insert, the most common Yaz side effects are headache, nausea, breast tenderness, and spotting or bleeding between menstrual periods. In general, these issues, particularly nausea and vomiting, should lessen within the first three months of taking the drug. In contraception clinical trials that involved 1,056 women, about 16 women stopped taking the drug because of headaches or migraines, and another 10 women stopped the medication because of nausea and vomiting. About a dozen out of 536 women quit taking the pill during acne clinical trials because of prolonged, excessive or abnormal menstrual bleeding. Nearly 12 percent of women who took the drug during clinical trials for PMDD dropped out because of the same side effects plus fatigue, breast tenderness, depression and irritability. Other less serious side effects Yaz include acne, less sexual desire, bloating or fluid retention, blotchy darkening of the skin, high blood sugar, high fat levels in the blood, problems tolerating contact lenses, and weight changes. Studies show drospirenone, an active ingredient in Yaz, significantly increases the chances of developing venous thromboembolic events (VTE), or blood clots. The risk of developing a blood clot while taking the drug goes up even more in women who are obese, smoke cigarettes or are older than 35. Blood clots can lead to heart attacks, strokes and pulmonary embolisms, all of which can be deadly. According to the Yaz prescribing information, problems caused by a blood clot, such as heart attack or stroke, can be deadly or permanently disabling. At least five large studies conducted since 2009 have shown that drospirenone not only heightens the risk of blood clots, but also it does so more than older forms of progesterone. 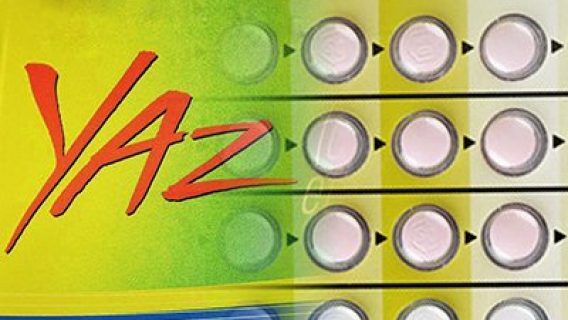 A study by the U.S. Food and Drug Administration, for example, showed a 74 percent increased risk in Yaz users when compared to users of other oral contraceptives. Bayer, the drug’s maker, funded the only two major studies that disprove the blood clot connection. In 2012, the FDA required an updated warning on the drug’s label to reflect the blood clot risk. Specifically, the birth control is linked to deep vein thrombosis (DVT), a blood clot that develops in the deep veins of the body. When a clot forms in the deep veins of the legs, it is often painful and causes the legs to swell. 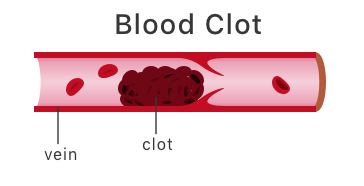 Once a DVT forms, the clot can easily break off and travel through the body. Blood clots that travel to the heart, brain or lungs can cause heart attack, stroke, paralysis and death. Seemingly healthy females, some as young as 14 and 15, have reportedly died from Yaz-related DVT. Countless others have allegedly been injured. Bayer refutes the claims. It says the risks of taking Yaz are no different than any other oral contraceptive. However, in 2015, a study published in BMJ looked at nearly 11,000 cases of blood clots in women ages 15 to 49 and found the risk of blood clots associated with birth control pills was higher for newer oral contraceptives like Yaz compared to older drugs. Bayer has agreed to pay more than $2 billion to settle claims in more than 10,000 Yaz lawsuits over blood clot injuries caused by the drug. Not only does the drug’s blood clotting risk increase the chances of a heart attack, but so does its link to dangerously high potassium levels, a condition called hyperkalemia. The risk from a potassium-induced heart attack is so great that federal drug regulators demanded Bayer include the information on the drug packaging and labeling. Drospirenone found in Yaz affects potassium levels by interfering with the normal functioning of the kidney, which monitors and regulates the body’s potassium levels. When kidney function is stalled, potassium builds in the bloodstream. Some drugs such as ibuprofen, high blood pressure medicine and certain diuretics can have serious interactions with Yaz and cause hyperkalemia. Women should not take the drug if they have kidney failure, one kidney, liver disease, adrenal disease or a history of blood clots. Drinking sports drinks or eating high-potassium foods while taking the drug can be dangerous. 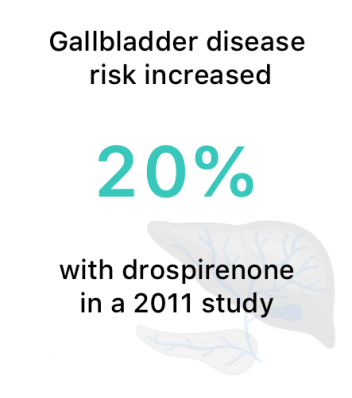 Some studies say drospirenone is linked to gallbladder disease because of its diuretic effect. Other studies say the link between the drug and gallbladder disease is because the drug increases cholesterol levels, thus creating calcified bits of cholesterol in the gallbladder known as gallstones. Still, others say it is because drospirenone decreases the gallbladder’s movement and impedes bile flow. Bayer says the research pointing to gallbladder problems is not clinically significant. Past studies have suggested birth control pills like Yaz may increase the risk of breast cancer, according to the drug’s label. However, the label explains more recent studies have not confirmed the findings. Still, the label warns women with a history of breast cancer or other estrogen- or progestin-sensitive cancer not to take the drug. It also notes that some studies have suggested the drugs are associated with an increased risk of cervical cancer, though other factors such as sexual behavior may have played a role. Though extremely rare, this type of birth control can cause benign liver tumors which can rupture and cause death. Studies have also shown an increased risk of developing liver cancer in women who used the drugs for more than eight years, according to the drug’s label. Women, especially older women who use the drug for an extended period of time, may be at risk for an increase in blood pressure and should watch for signs of the side effect. Women should not use the drug if they have high blood pressure.